When humans go to the moon or Mars, they'll probably take plants with them. 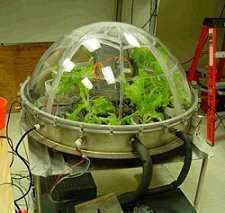 NASA-supported researchers are learning how greenhouses work on other planets. February 25, 2004: Confused? Then you're just like plants in a greenhouse on Mars. No greenhouses exist there yet, of course. 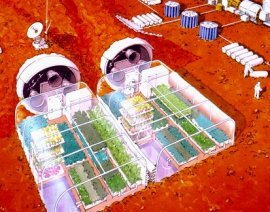 But long-term explorers, on Mars, or the moon, will need to grow plants: for food, for recycling, for replenishing the air. And plants aren't going to understand that off-earth environment at all. It's not what they evolved for, and it's not what they're expecting. But in some ways, it turns out, they're probably going to like it better! Some parts of it, anyway. "When you get to the idea of growing plants on the moon, or on Mars," explains molecular biologist Rob Ferl, director of Space Agriculture Biotechnology Research and Education at the University of Florida, "then you have to consider the idea of growing plants in as reduced an atmospheric pressure as possible." There are two reasons. First, it'll help reduce the weight of the supplies that need to be lifted off the earth. Even air has mass. 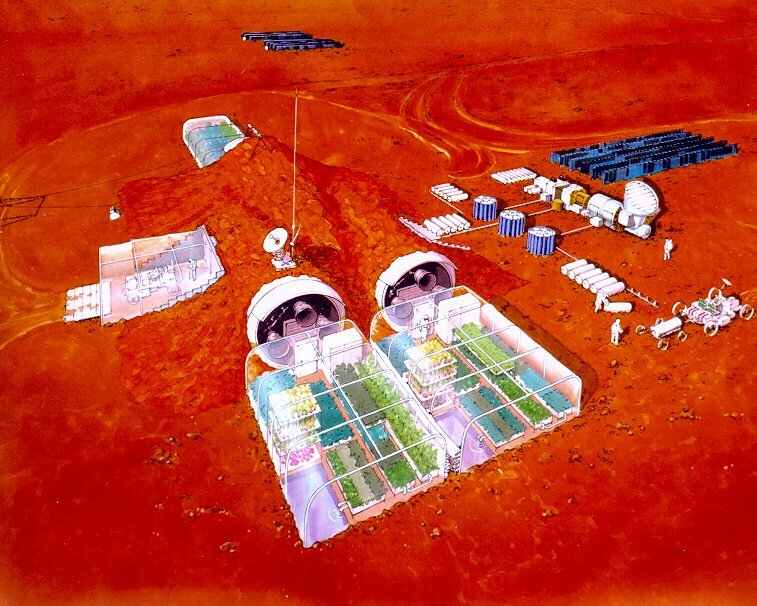 Second, Martian and lunar greenhouses must hold up in places where the atmospheric pressures are, at best, less than one percent of Earth-normal. Those greenhouses will be easier to construct and operate if their interior pressure is also very low -- perhaps only one-sixteenth of Earth normal. The problem is, in such extreme low pressures, plants have to work hard to survive. "Remember, plants have no evolutionary preadaption to hypobaria," says Ferl. There's no reason for them to have learned to interpret the biochemical signals induced by low pressure. And, in fact, they don't. They misinterpret them. Low pressure makes plants act as if they're drying out. In recent experiments, supported by NASA's Office of Biological and Physical research, Ferl's group exposed young growing plants to pressures of one-tenth Earth normal for about twenty-four hours. In such a low-pressure environment, water is pulled out through the leaves very quickly, and so extra water is needed to replenish it. But, says Ferl, the plants were given all the water they needed. Even the relative humidity was kept at nearly 100 percent. Nevertheless, the plants' genes that sensed drought were still being activated. Apparently, says Ferl, the plants interpreted the accelerated water movement as drought stress, even though there was no drought at all. That's bad. Plants are wasting their resources if they expend them trying to deal with a problem that isn't even there. For example, they might close up their stomata -- the tiny holes in their leaves from which water escapes. Or they might drop their leaves altogether. But, those responses aren't necessarily appropriate. Fortunately, once the plants' responses are understood, researchers can adjust them. "We can make biochemical alterations that change the level of hormones," says Ferl. "We can increase or decrease them to affect the plants' response to its environment." And, intriguingly, studies have found benefits to a low pressure environment. The mechanism is essentially the same as the one that causes the problems, explains Ferl. In low pressure, not only water, but also plant hormones are flushed from the plant more quickly. So a hormone, for example, that causes plants to die of old age might move through the organism before it takes effect. Astronauts aren't the only ones who will benefit from this research. By controlling air pressure, in, say, an Earth greenhouse or a storage bin, it may be possible to influence certain plant behaviors. For example, if you store fruit at low pressure, it lasts much longer. That's because of the swift elimination of the hormone ethylene, which causes fruit to ripen, and then rot. Farm produce trucked from one coast to the other in low pressure containers might arrive at supermarkets as fresh as if it had been picked that day. Much work remains to be done. Ferl's team looked at the way plants react to a short period of low pressure. Still to be determined is how plants react to spending longer amounts of time -- like their entire life -- in hypobaric conditions. Ferl also hopes to examine plants at a wider variety of pressures. There are whole suites of genes that are activated at different pressures, he says, and this suggests a surprisingly complex response to low pressure environments. 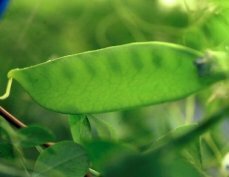 To learn more about this genetic response, Ferl's group is bioengineering plants whose genes glow green when activated. In addition they are using DNA microchip technology to examine as many as twenty-thousand genes at a time in plants exposed to low pressures. Plants will play an extraordinarily important role in allowing humans to explore destinations like Mars and the moon. They will provide food, oxygen and even good cheer to astronauts far from home. To make the best use of plants off-Earth, "we have to understand the limits for growing them at low pressure," says Ferl. "And then we have to understand why those limits exist." Ferl's group is making progress. "The exciting part of this is, we're beginning to understand what it will take to really use plants in our life support systems." When the time comes to visit Mars, plants in the greenhouse might not be so confused after all.